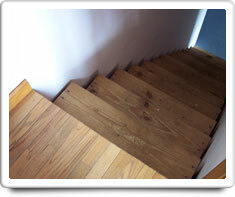 A Basement is the bottom floor of a home, that is partially or completely below the ground level. Basements are important to the structural integrity of the house or building. Basement insulation is usually within ceilings and sometimes the walls. Typically, heating and air conditioning equipment is located in the basement. Basements that are partially below ground and have doors that open to the outside are often called 'walkout basements.' Basements that are 'un-finished' will not have any heating and air conditioning for this area, and the walls are not covered with drywall or plaster. And in some homes the basement will be all or partially finished. Shown in the 'Routine Care' section are the recommended routine maintenance tasks for your basement. The 'Q & A' section shows answers to common questions. And the 'Articles' section provides helpful articles about your basement.